Just a few weeks ago, Matthew Flores, age 12, could not afford books and was reading junk mail instead. 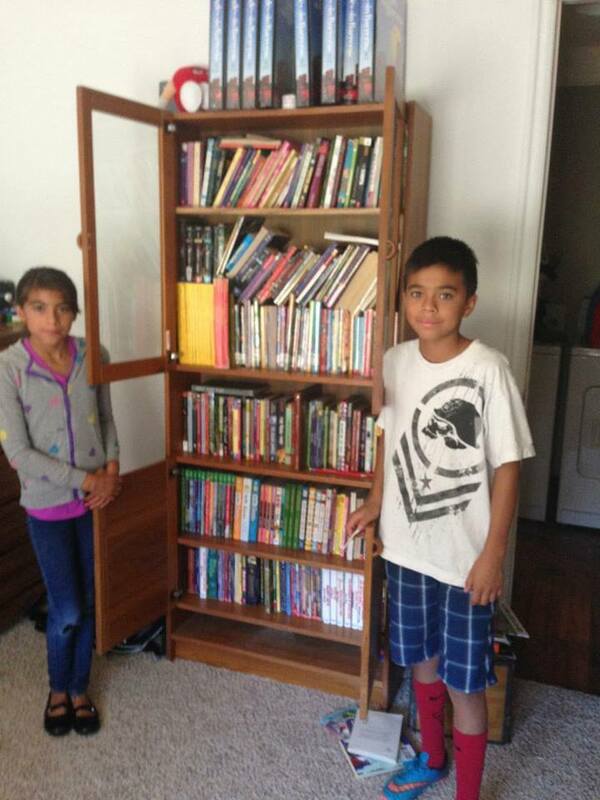 Now, thanks to the generosity of people worldwide, Flores has his own personal library at home. It all began when Flores asked his mailman, Ron Lynch, for any extra junk mail. The request was odd, and Lynch asked why. Flores explained that he did not have any books and that advertisements were the only reading material he had. Flores’s family does not own a car and he cannot afford the bus fare to go to the library. Despite this, Flores says he finds reading interesting. “Plus, it gets you smarter,” he said. Lynch was touched by the boy’s story and shared it on Facebook, asking his friends if they could spare any books to give to Flores. “Today while delivering mail to his apartment complex, I saw him reading ads, and then he asked me if I had any extra mail he could read. He told me his wish is to have books to read. I told him the library had many, but he said they don’t have a car, and couldn’t afford the bus. Most kids his age want electronics! It’s great to see his desire, and you should have seen him beam when I said I could help! He’s counting on me, so I’m counting on you!” Lynch wrote. Lynch expected just a few of his friends to give up to 50-60 books, but the post has gone viral. People worldwide have seen it and are sending books to Flores. “It’s gone crazy from there. I’ve heard from the U.K., Australia, from India,” Lynch said. Flores promises to read each book and to share the books with other children. “I’m just super happy,” Flores said. More books are expected to arrive. Lynch and Flores plan to have a book drive to give to other children in need of books.